The Cranbourne Lions Concert Band is a community run, not-for-profit group that has been working to benefit the people of Cranbourne and its outlying suburbs since 1986. We have over 30 members from varied and diverse backgrounds who come together every Tuesday night to not only expand their musical abilities but to also have fun. The band enjoys playing at an assortment of community and municipal functions throughout the year. We also plan and host our own events for the local community including our CLCB Concert Band Festival, Variety Concert and annual Musical Trivia Night. 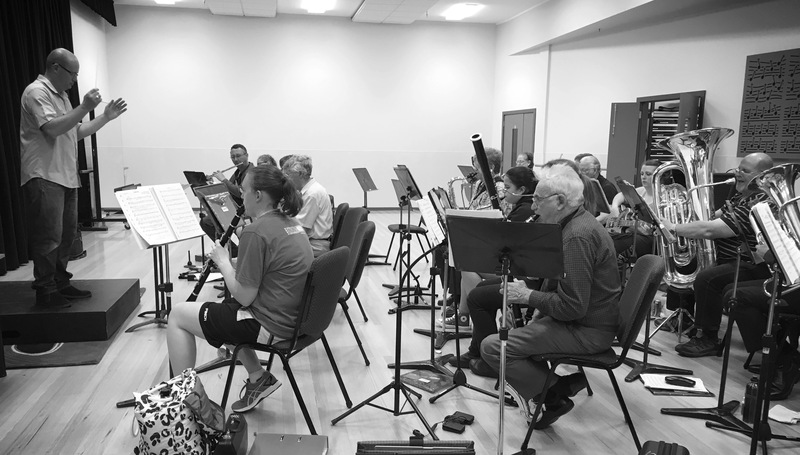 The concert band rehearses Tuesday evenings 8:00pm to 10:00pm at The Factory (next to the Casey RACE pool in Cranbourne) and we welcome new members of any age and experience. Our annual concert band festival will once again see many local school and community concert bands performing across the entire day. This is a fantastic day of concert band music!